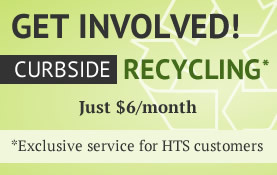 Teknix Solutions is proud to partner with Howie’s Recycling in Manhattan, KS. Together, we make it simple and convenient to recycle. 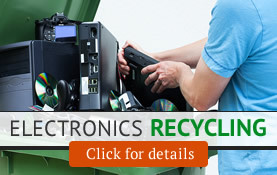 You can drop off your used electronics at Howie’s at the same time as your other recyclable items. Teknix Solutions transports electronics from Howie’s to our recycling facility for further processing. Howie's Recycling LLC complies with all federal, state, and local environmental laws in regards to electronic equipment received to process. Any material that is distributed for reuse or donated is securely erased to ensure privacy of all parties involved. Howie's Recycling is a simple dismantler of electronics; we dismantle computers and sort parts on-site at our warehouse. We strive to keep all materials out of the landfill and prevent exporting of e-waste to developing countries. We also only use vendors that will certify to the same as material is redistributed. We keep documented certificates of processing of CRT glass to ensure the proper handling and processing of leaded glass.